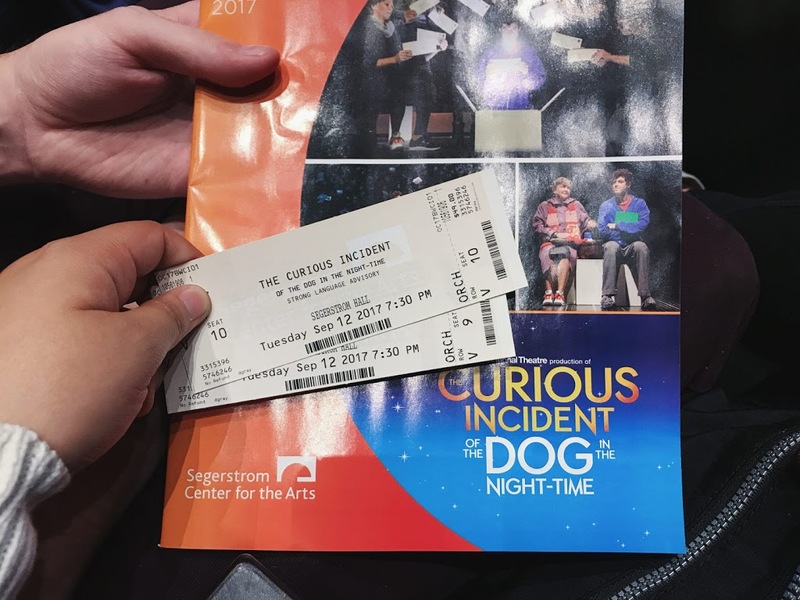 Last Tuesday, Chris and I headed over to the Orange County to catch the opening night for The Curious Incident of the Dog in the Night Time at the Segerstrom Center for the Arts. I had no clue what the play was about; but Chris bought tickets it was one of his favorite books in high school. 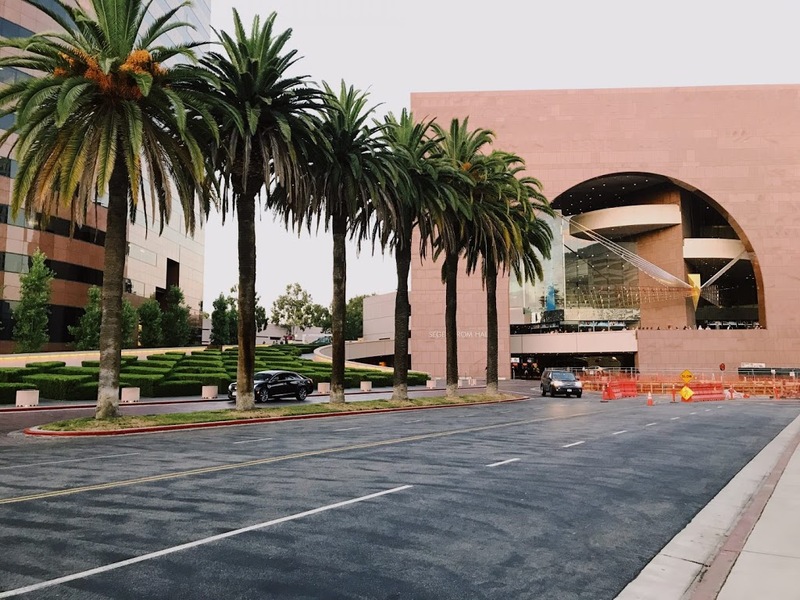 We left for the OC rather early because I wanted to stop by a few places in the area. Our first stop was Roasting Water in Westminster. Nancy recommended the place to me recently and since I love water bottles (thingamabobs? I GOT TWENTY! ), I was easily sold. I got the mango lemonade and Chris got the pink guava lemonade. It was sooo good. After that, we spent a good fifteen minutes deciding what to have for lunch before settling on some sushi from Miyako Japanese Restaurant. It was a ten minute drive from Roasting Water. 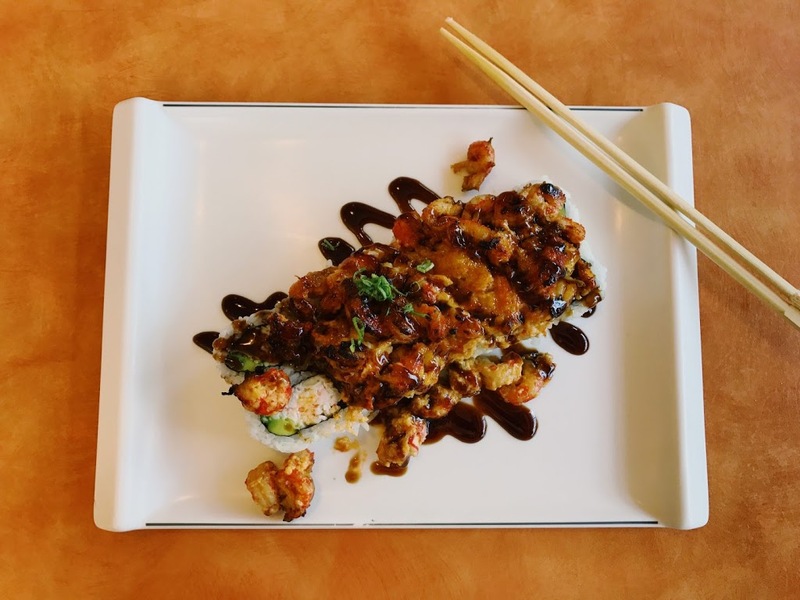 We both got the baked spicy lobster roll – Chris and I love to be fancy and eat lobster when we can! Their food was decent; the rolls immediately came with some miso soup and a salad. We headed to our hotel after lunch to get some rest, er, watch some Forensic Files on the TV. 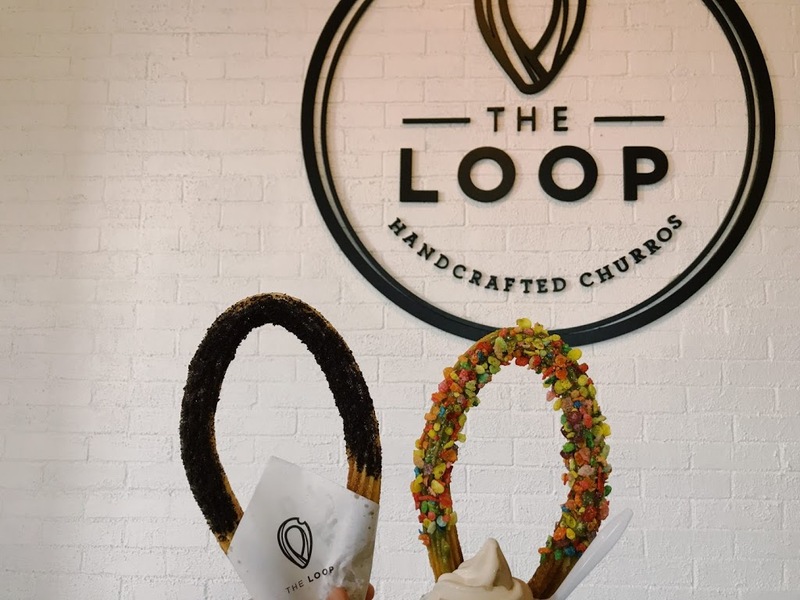 We left a few hours after to check out The Loop: Handcrafted Churros. I’ve seen this place through OC Yelp’s Instagram page a while back and have wanted to try it out! 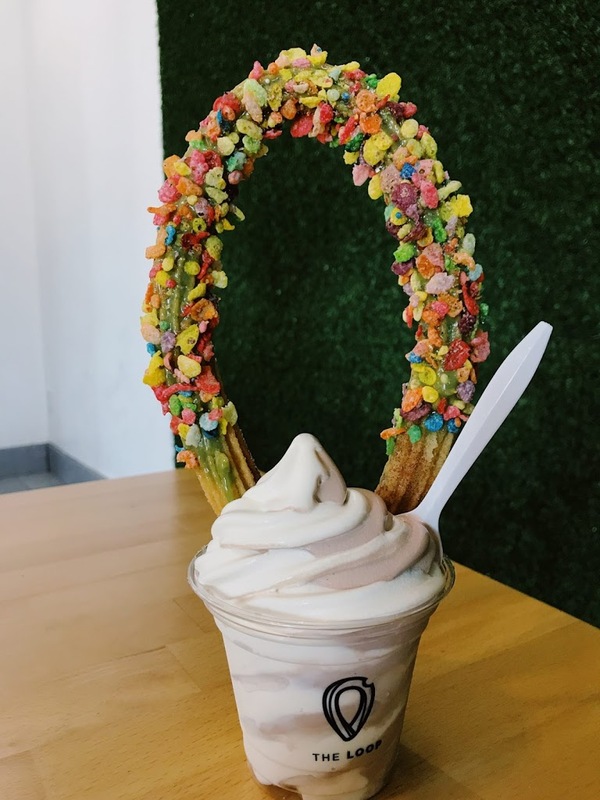 I got the matcha churro with the fruity pebbles with ice cream while Chris got the cookies and cream churro. 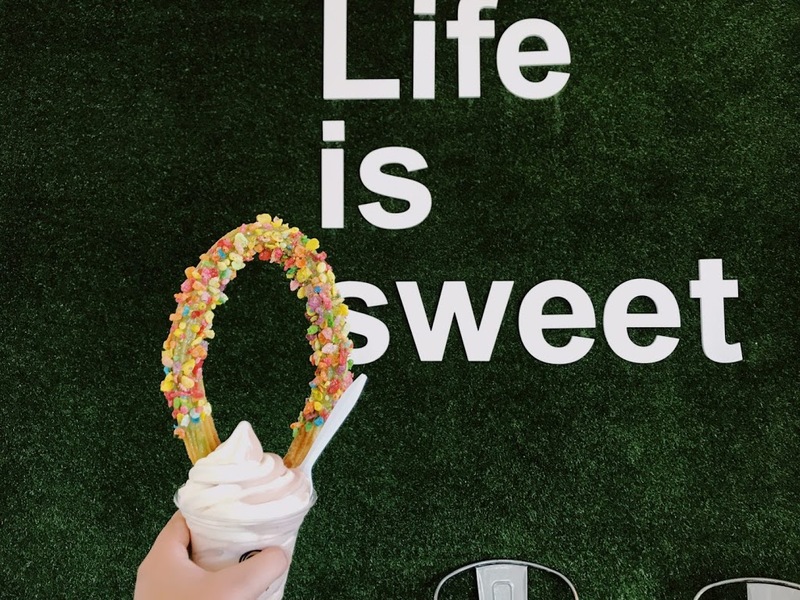 To be honest, I personally felt that that adding ice cream with the churro was too much but the matcha was amazing – possibly biased because I’m a lover for all things green tea and matcha. After our little snack, we grabbed a quick lunch at Red Robin next to the theater. We were quite surprised at the turnout of the crowd at the theater, being it was a weekday. We soon realized that it was in fact the play’s opening night! The play was amazing! I haven’t read the book but I have a copy so I would recommend reading it, and I’ll go do the same. The next day, Chris and I had a lovely breakfast at The Filling Station Cafe. We came across the cafe on Yelp and decided to check it out since the prices were very wallet-friendly. I got the California Benedict because… avocados and mushrooms are my food best friends, ha. 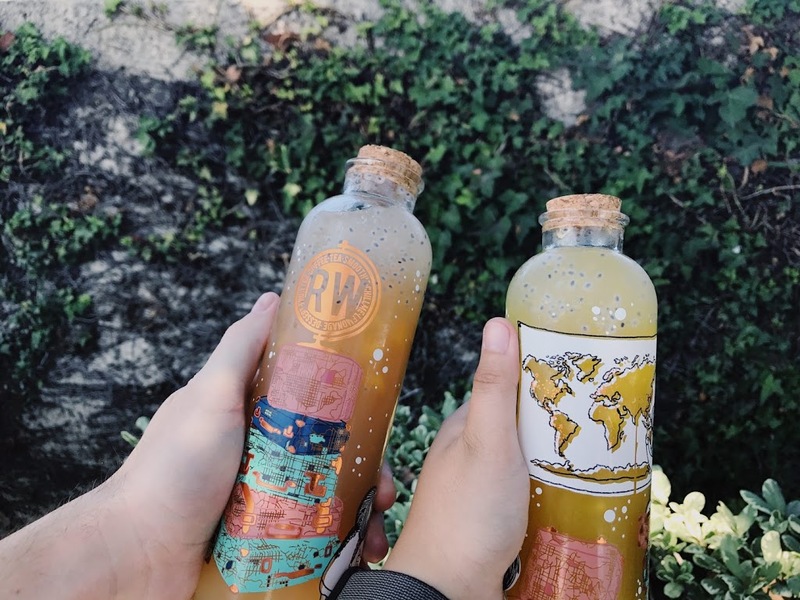 Afterwards, we stopped by Roasting Water, yet again, but in Garden Grove this time! 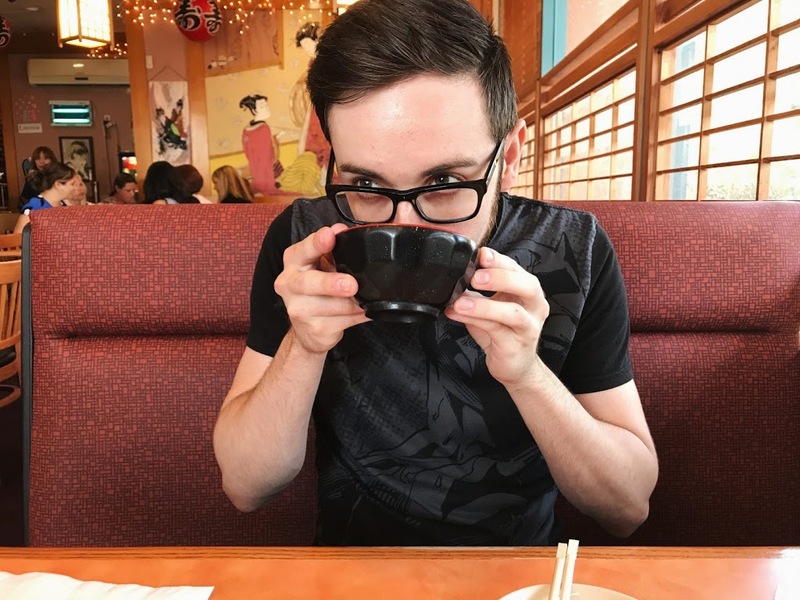 Chris and I really enjoyed their drinks that we just had to come a second time before heading home! 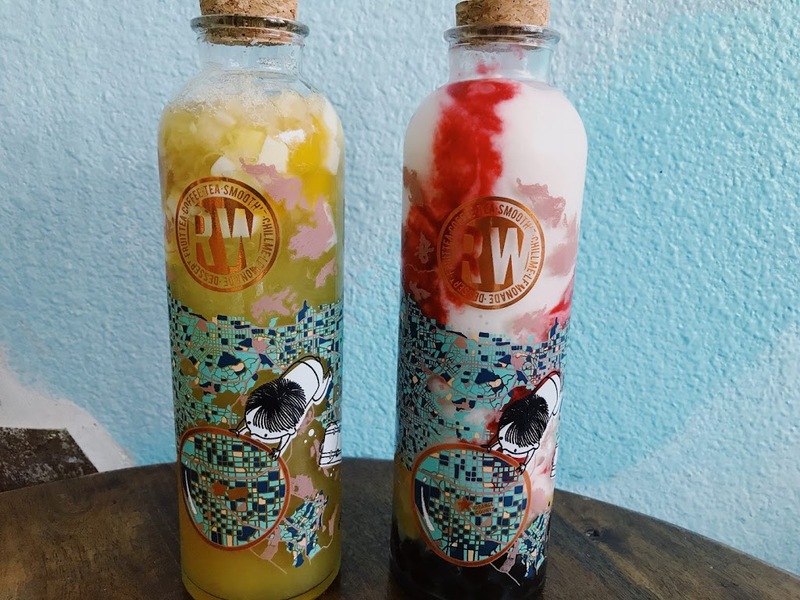 I got the pineapple paradise with coconut and mango while Chris got the peach raspberry with boba. 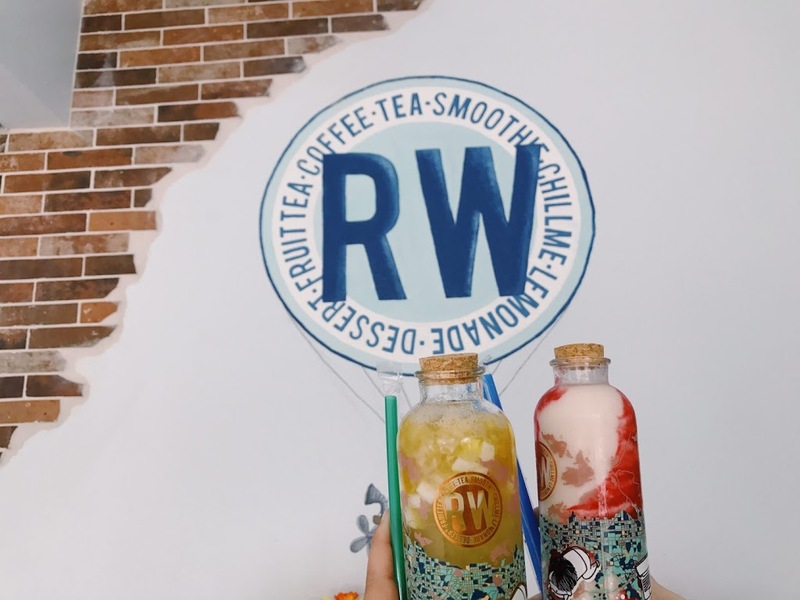 I am seriously in love with this place – definitely taking boba to a whole new level.